Pimples are NEVER fun, and it always seems like they come at the most inconvenient times! 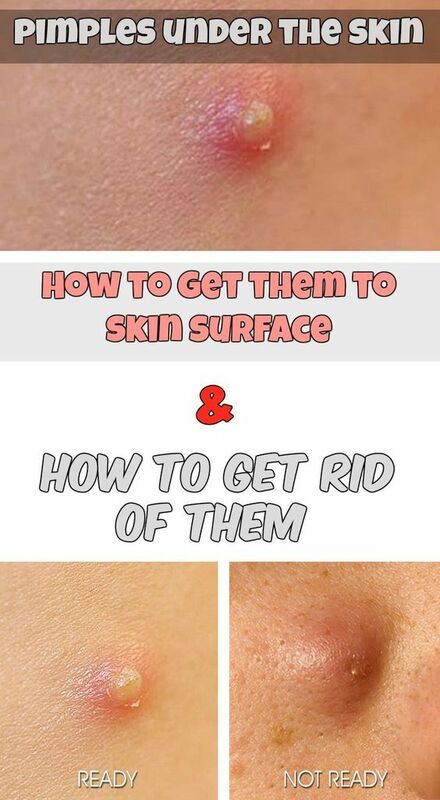 Today we’ll show you the 8 fastest ways to get rid of a pimple ! Let’s say…before a date, or even before vacation. Now you don’t even want to take pictures because all you can see is your greasy friend on your face. So what’s a girl to do! Dab a little bit of white toothpaste onto your pimple and let it sit there overnight. Rinse off in the morning. I’ve been using this method since I can remember and it ALWAYS works. Just make sure you’re using a white toothpaste, and not one of those blue ones. For some reason, those don’t work as well! Baking soda is amazing at getting rid of dirt, as well as minimizing pores so it’s no wonder that it works really well on a pimple. Mix baking soda with a little bit of water (enough to form a paste). Apply directly over your pimple and let it dry overnight. Rinse off in the morning and you’ll see that your pimple has completely dried out! Apple cider vinegar is a natural astringent and therefore great at killing bacteria. Apply ACV onto your pimple using a cotton ball. You can do this twice a day – once in the morning and once at night. Repeat as often as you need. You can also use this all over your face as a toner – it really keeps pimples at bay! Grab an organic lemon and squeeze the juice out of it. Dab onto your pimple and let it dry overnight. The acid in the lemons will help kill the bacteria as well as dry out the pimple. Rinse off the next day. Ice can greatly reduce the size of a pimple simply by “freezing it”. Grab some ice cubes and place them in a sealed bag. Hold the bag over your pimple for 5-10 minutes and watch as it becomes almost non-existant! Separate the white from an egg and apply directly to your pimple. If you don’t want to waste the rest of the egg white, you can apply it to the rest of your face. It’s great for minimizing pores, killing bacteria, and tightening the skin. Leave on for 20 minutes and rinse off. Tomato juice or tomato paste is another excellent way of getting rid of a pimple. Apply to the problem area and let dry overnight. Then, rinse off in the morning! Mix honey with a little bit of cinnamon (preferably organic, for both) and apply to your pimple. The mix of honey and cinnamon is extremely powerful as they both have amazing cleansing properties. Leave on for 20 minutes, or you can even leave it on overnight. Just make sure to apply a band-aid over as the honey will certainly leak down your face.